How to install Windows 7 x64bit on Intel Z390 motherboards ? Discussion in 'Processors and motherboards Intel' started by chispy, Oct 27, 2018. The only thing that is not working on the Z390 mobo is the USB ports , not a single usb 2.0 -3.0 - 3.1 works on the motherboard , i have tried all kinds of usb drivers and so far none works on this Z390 boards , everything else installs correctly. Please if you have found some windows 7 USB drivers for Z390 post here or a fix , i and a lot of people would appreciate the help. I thought they droped support for win 7? don't you restrict yourself going win 7? Well it should be usbs from intel then should be no problem, but...maybe they are all asmedia? Try dells asmedia 3.1 drivers. For w7. Btw does ur kb/mice work in uefi through usb? As I went from z97 to z370 all went smoothly, my w7 installation just installed some new drivers, rest (like 3.1 asmedia usb or so) I took from internet. So could play games on steam in like 20 mins after first boot and reconfiguration. 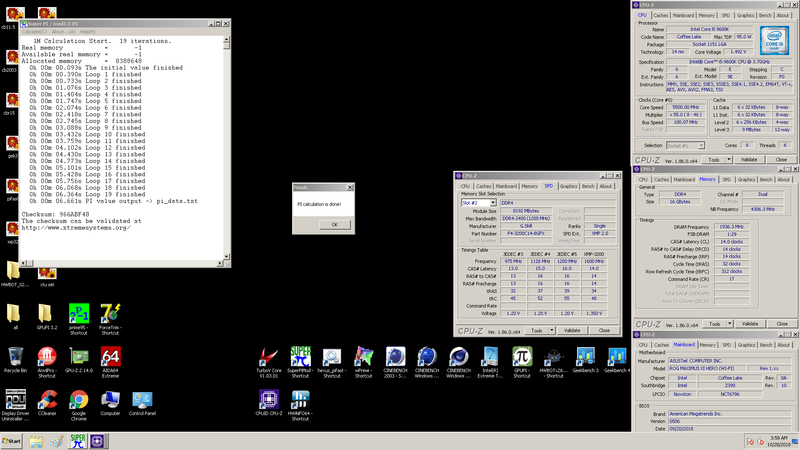 use this to make an win 7 image that has all driver and stuff in it that you need to bring those new hardware to life.. Whole updating process may take even few hours on machine with only 8 GiB of ram! Here it's a guide to help you guys out installing windows 7 x64bit on Asus Maximus XI Z390 Series motherboards ( Might work on other mobos as well with a PS2 port or Asmedia usb ports ). I manage to get windows 7 x64bit correctly installed and fully working on my Asus Maximus XI Hero Z390 , it's a painful slow process but it works 100% for me. You will need a pci-e to usb expansion card with at least 2 usb ports , a native PS2 mouse and a native PS2 keyboard. You will need to use some software to do this = ASUS EZ Installer ( download from the Asus Strix Z370 support page ) - https://www.asus.com/Motherboards/ROG-STRIX-Z370-F-GAMING/HelpDesk_Download/ , Gigabyte Windows USB Installation Tool ( download from the Gigabyte Aorus Ultra gaming Z370 support page ) - https://www.gigabyte.com/Motherboard/Z370-AORUS-ULTRA-GAMING-20-OP-rev-10#support-dl-utility follow the instructions on this video - https://www.youtube.com/watch?v=APcboOpP4TY and this https://www.youtube.com/watch?time_continue=385&v=8VTC4k6SLWY. A windows 7 x64bit usb installation flash drive , Rufus = https://rufus.ie/en_IE.html. ** Follow the videos and also you need to inject those asus drivers , eg. you need to use both utilities Gigabyte and Asus to inject all the drivers to be able to install windows 7. Important note * The usb ports of the Z390 motherboards do not have windows 7 support eg. No drivers exist for windows 7 , only windows 10 as this is a brand new chipset with all the usb included on that new intel Z390 chipset , blame microsoft and Intel for this end of support of windows 7. 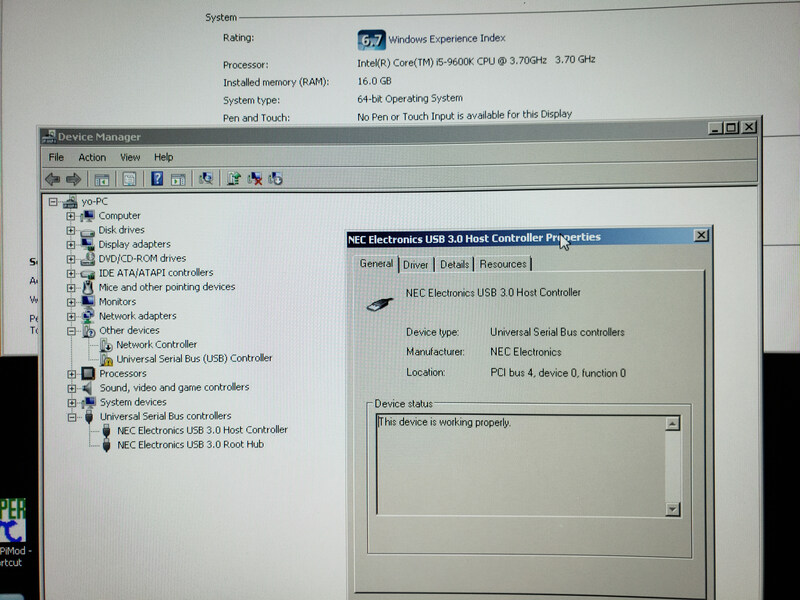 Could you post the device id's of the offending controllers, It may be possible to add them to the older drivers for z270/z370(at least for usb 2.0) and run win 7 in unsigned mode. of course there is also the option of using a modified z170 or z270 board instead with the 9000 series chips. The z390 usb chipset is not an Intel-made chipset like the b360 and h370, but the z370 is an asmedia chipset, so I know that Windows 7 is available. Can you do z370? Will usb 3.0 gen1, usb 3.0 gen2 and generic usb 3.0 be possible? On the contrary, is not there a way to make the z390 usb chipset driver recognize the z370 hardware id? Can you get Windows 7 to work with the z390 driver? @chispy why are you using Win 7? I'm just curious! I think he's doing runs for HWbot benching. chispy and Dynarush_333 like this. The Z390 USB component IS a new Intel (ID 8086:a36d) which currently has no driver support for W7 hence this thread looking for a solution. It is also used on some of the H310 boards and others, all of which have the same problem. The Z370 chipset uses Asmedia USB controllers which have W7 driver support so Z370 is fine for W7 USB support. Thanks for the feedback my fellow Gurus. I'm using Z390 with windows 7 *only* for benchmarks purpose for hwbot points as some benchmarks scores a lot better on windows 7 than windows 10 , so i need a trimmed light tweaked windows 7x64 to run high overclocks on cpus , memory and video cards to score high benchmark scores. Killuagon22 and Cipher23 like this. I think at least one person over at the win-raid forum has tried to modify the .inf file but that did not work so the only workaround as things stand is to install a PCI-e x1 USB card and use those ports after slipstreaming or installing the drivers on another machine (my Z390 board has no PS/2 port and all USB ports are totally dead beyond the W7 login). Killuagon22 and chispy like this. Thanks, but can not I add a hardware id in Windows 7 unsigned log mode that user1 says? Would not it be nice to try it in unsigned mode? Intel usb drivers didn't work? Did you try? I downloaded these for my z370 board and they worked just fine. If anyone is unclear, intel chipsets have supported usb for many generations. They don't always support the latest standards i.e. usb 3.0 gen 2 on 370: the 390 boards add this. External chipets enabled this functionality on 370 boards (like mine, asus z370g); I downloaded the intel drivers below, and the asmedia drivers off the asus site for my board (all the other win7 drivers were present, except the intel usb 3.0 drivers linked below). The asus board I used has usb 2.0 ports, and can emulate them in ps2 mode to make things easier. The MSI smart tool can integrate drivers if you are performing a fresh install. hm, how much votage u had to put in to have cl14? Been considering buying a Z390 setup. As I understand it, the main problem with installing W7 is the Intel USB ports have no driver, correct? If the mobo has Asmedia USB ports, could those not be used? I know I could buy a USB PCIe AIC, but would rather not, unless necessary.